Artist Rachel Dyke is taking couple’s big day memories and turning them into itty bitty keepsakes. Dyke, who is based in Los Angeles, recreates life-size wedding cakes on a miniature scale, making intricately detailed models small enough to fit into the palm of your hand. They’re made using polymer clay, acrylic paint, bits of jewelry and other flea market finds, so no, you can’t eat these little beauties. On the left, an actual wedding cake. On the right, Dyke's miniature recreation. Clients send Dyke a photo of their cake, and she estimates the time it will take her to recreate it, as well as the cost of the materials she’ll need to purchase. The price for the miniature varies depending on the level of detail, but Dyke estimates the median cost is probably somewhere between $150 and $200. 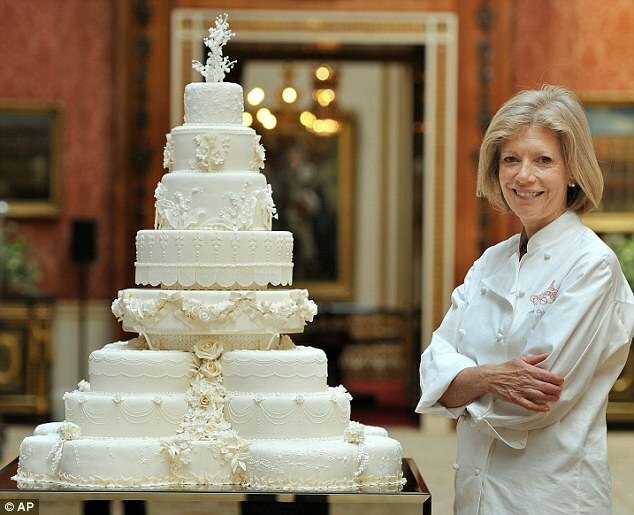 “Simple cakes with minimal detail I can make in an afternoon, while others that take more time and engineering can take a week,” she told The Huffington Post. Dyke previously worked as a cake decorator under Duff Goldman of “Ace of Cakes” fame, and learned many of the techniques she uses today from her time at Goldman’s Charm City Cakes West in West Hollywood, California. She even made an appearance on Food Network’s “Cake Masters” last year. A miniature version of Prince William and Kate Middleton's wedding cake. Dyke’s obsession with miniatures started young. From an early age, she was fascinated with Barbie accessories and toy trains. At 6 or 7, she began creating her first miniatures. When she turned 20, Dyke shifted her focus to wedding miniatures specifically and has turned it into a business. This gold wedding cake miniature took 12 hours to create. While working on such a small scale might be painstaking for some, Dyke finds tremendous pleasure in it. The waitlist for Dyke’s services is currently two months long, but she’s accepting new business inquiries through her Instagram direct messages. Head over to Insta to see more of her mini masterpieces.